It’s as close as Plymouth Meeting Mall, thanks to the April 6 opening of LEGOLAND Discovery Center. 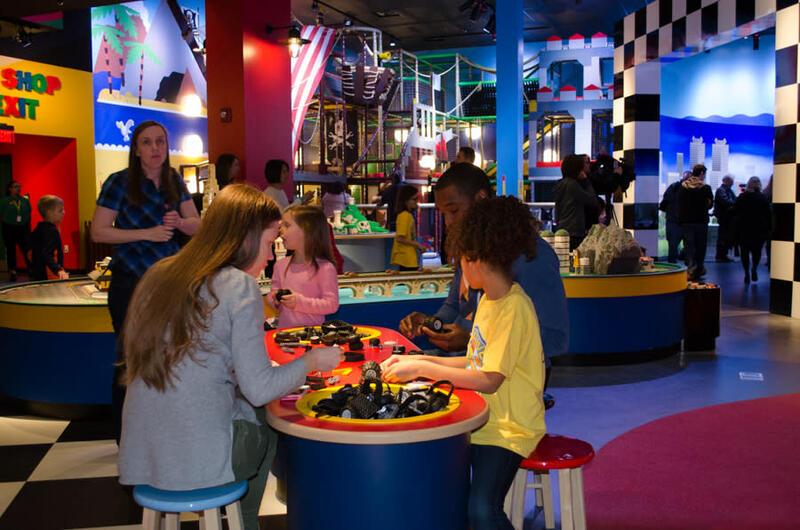 At a March 31 sneak-peek, enthusiastic LEGOLAND staffers were eager to see how a group of invited kids and parents would react to 33,000 square feet of blocky fun. By all accounts, the sentiment was clear: Everything is awesome! 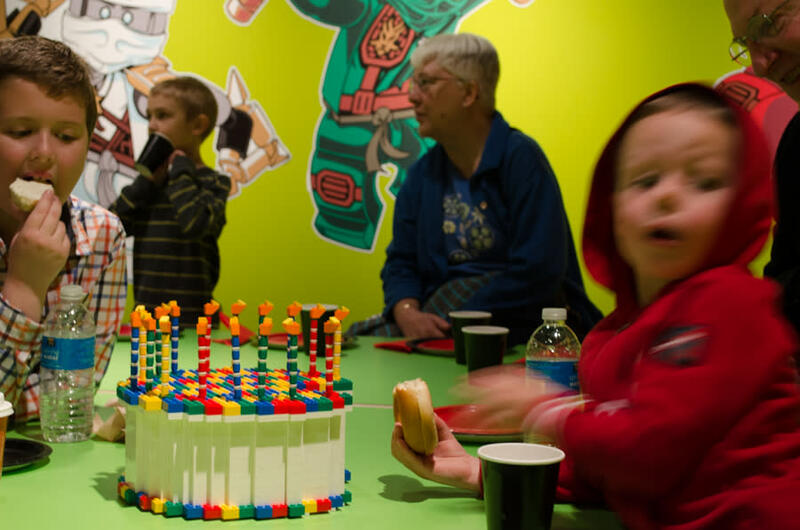 The LEGOLAND Discovery Center in Plymouth Meeting is the first ever in Pennsylvania. It joins nine others across the U.S., in cities like Chicago, Dallas and Atlanta, and an additional eight across the globe, in locations that include Berlin, Tokyo and Istanbul. Montgomery County’s LEGOLAND Discovery Center is massive. The footprint occupies space previously devoted to the food court adjacent to Boscov’s and several former storefronts, stretching nearly to the center court. Inside, the center makes efficient use of space; it brims with things to do, see, build, climb, discover, play, touch and ride, without feeling cramped or crowded. A 4D Cinema featuring wind, water and fog effects that burst off the screen. Set in the mythical land of Chima, the rollicking story is about feuding clans who are desperate to get their (circular) hands on a magical power source. Pirate Adventure Island, an entire ship of soft-play equipment for young children. There is rigging to climb, air cannons to shoot and an escape slide that leads to the safety of an island castle. LEGO Racers Build and Test, where little designers can put together their own cars, get tips on how to make them go even faster and then compete on the test track. Results are timed down to the hundredth of a second, so the competition among friends is sure to be close. NINJAGO Training Camp, which blends brick-building skills with flexibility and agility training to prep kids for the challenge of a laser maze. They’ll need a lot of ducking, dodging and quick thinking to make it through. DUPLO Park, a big spot for little imaginations. 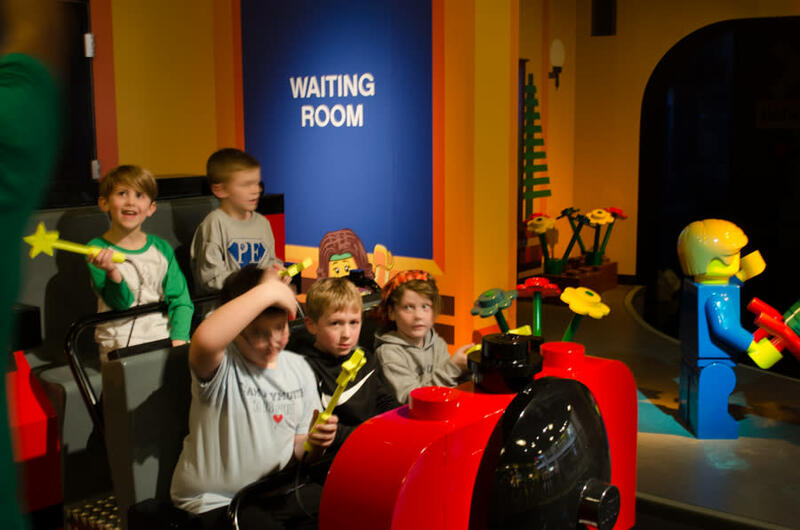 This play area is specially designed for the youngest LEGO fans, which bursts with creativity. Of course, there are blocks to build with, but there are also oversized blocks to play on. The onsite staff includes Michael Nieves, Master Model Builder. He is set up in a Creative Workshop to lead 25-minute sessions designed to unlock visitors’ imaginations and share construction techniques. Nieves won his slot through a rigorous competition last fall. Within the entirety of the LEGOLAND experience, Miniland is quite literally the centerpiece. 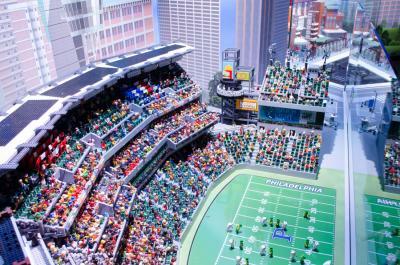 This massive display recreates versions of Philadelphia-area icons in 1.5 million LEGO bricks, requiring the skills of 20 expert model builders over six months to build. Rendered in all their right-angled beauty are places like Philadelphia’ City Hall, Boathouse Row and even the famous Rocky steps at the Philadelphia Museum of Art. The attention to detail in Miniland – and throughout all of LEGOLAND – is impressive. Lincoln Financial Field, for example, is crammed with thousands of cup-handed cheering fans – even to the 700 level. It’s a stunning sight, and parent-kid teams could spend hours standing there playing epic games of I-spy. And an onsite party room, sure to be a kids’ birthday hotspot, seats the guest of honor in a special throne. Before him or her sits an intricate, if nonedible, LEGO birthday cake. 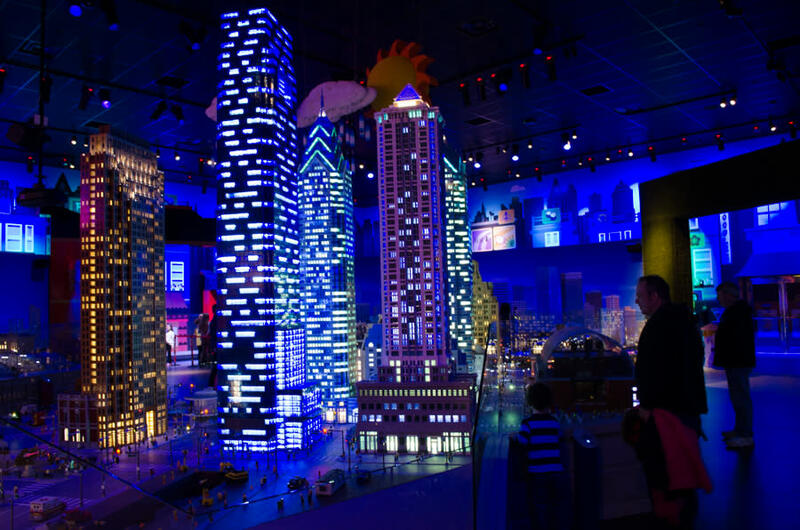 As I continued to wander by the nighttime version of Miniland, I was taken aback by its sheer intricacy, even down to the lighted windows, headlights and streetlamps. But as I continued to gaze, I became faintly aware of a change. Building lights began to wink out. The city seemed to awaken. The more I watched, the more the subtlety was revealed. This small-scale Philadelphia was cycling through sunrise and sunset. Every five minutes, another day breaks. More is dawning in Plymouth Meeting than a LEGO-constructed sun. Groups & school trips: This fall, LEGOLAND will begin its Education Workshops that use bricks to teach about math, science, education and even language arts. Call 866.841.3659 for details.